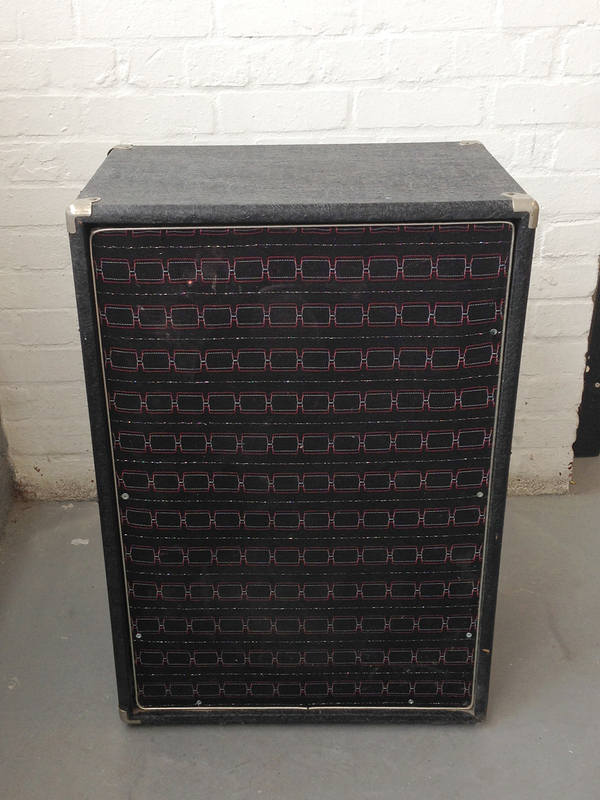 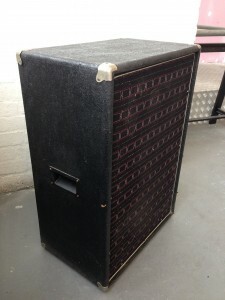 This cab doesn’t appear in any of my catalogues but it has very similar characteristics to a 2×12 PA cab that appears in the 1979/80 Bell Musical Instruments catalogue. 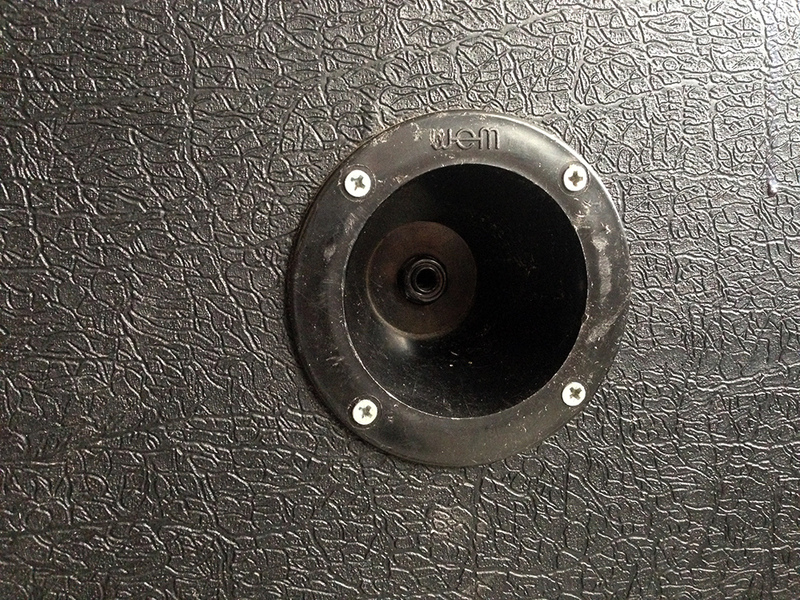 These characteristics include rounded edges, plastic insert handles, silver piping, different tolex pattern and metal protection corners. 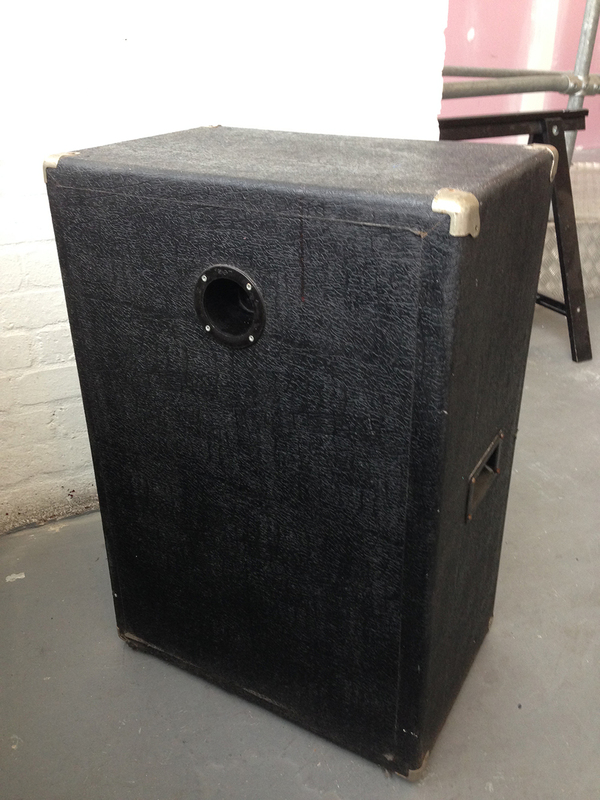 The dimensions of the cab are – Height 78.5cm, Depth 34.5cm, Width 53.5cm. This means the cab is slightly smaller than earlier 2×12 cabs. 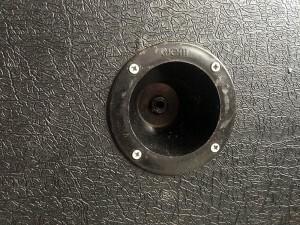 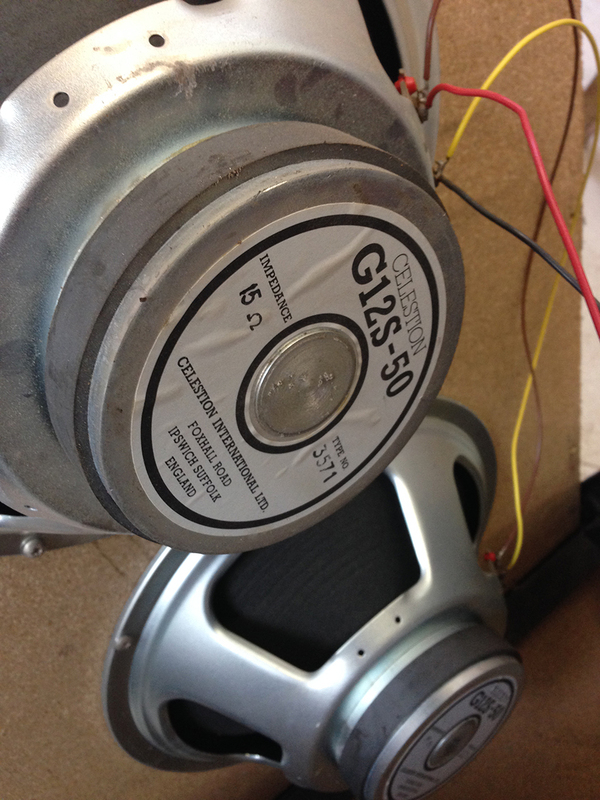 I don’t know if the Celestion drivers shown in one of the pics are original but I think they date from around the same time so they could well be original.